Senior Executive Councillor Datuk Hamidah Osman of The Perak state government in Malaysia announced on a trade and investment mission to China recently that the state government, in an effort to boost its tourism industry, intends to brand Ipoh, the capital of Perak as the “City of White Coffee”. Datuk Hamidah was quoted by Bernama “ Perak should have its own identity and branding just like Shenzhen that is known as the “Shoe City” and Paris which has long been known as the “City of Fashion”. In conjunction with the plan, Datuk Hamidah said, “We plan to have a food fair to be held in Ipoh this December. The idea is to promote the local foods and tourism industry. We have the best bean sprout chicken rice and chee cheong fun (rice rolls),” she added. Faced with increased domestic and international competition for both tourists and FDI, there is no doubt that Ipoh and Perak, need to develop a destination brand. But that brand must be based on a platform of multiple tourist attractions and business potential. Set amongst picturesque limestone scenery, a diverse selection of tourist attractions include Kellie’s Castle, Perak Museum, Ipoh railway station, Tambun hot springs, Taiping lake gardens and Zoo, and more, Ipoh and the rest of the state have a lot to offer. Other destinations include Pangkor and Pangkor Laut, Bukit Larut and others. Perak also has a rich heritage that can be promoted, including silver and tin mining. It is historically known as an innovator, having pioneered such advances as the first rubber trees in Malaysia and was also the first state in Malaysia to go wireless. The tagline ‘City of white coffee’ certainly differentiates Ipoh from other destinations but what else does it tell potential visitors, businesses or investors? How can stories be developed around the tagline, who are the target market? How will it be communicated? If it is a one-size-fits all approach, it’ll need significant resources to communicate the new tagline. Have budgets been agreed and so on? Today, Destination branding is not based on a tagline. Destination branding must be based on experiences that are successfully delivered to specific segments and not based on attempts to market all places to all people. Research and data are critical to understand tourist and other stakeholder requirements before developing strategies and not the other way around. Stakeholder buy-in is critical for brand consistency and fulfillment of the brand promise. As an example, how can a hotel contribute to the proposed approach? How can the same hotel leverage the approach to grow it’s business? 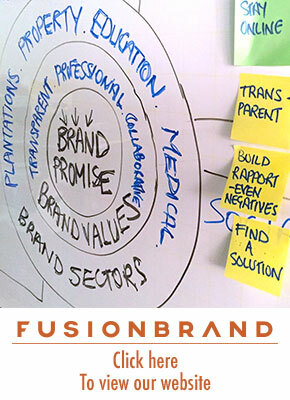 Branding is a long term coordinated and integrated strategic exercise and not a tagline. One-size-fits-all strategies using mass media are no longer effective. Planning is essential to coordinate initiatives, ensure accountability and avoid wasting resources. Without a plan, activities will be reactive and tactical. What Ipoh and other cities need is a consistent and organized methodology to brand themselves as domestic and international destinations. 2) Visitor audit: Carry out interviews with current and past visitors. Other groups can also be selected, such as conference organisers. The interviews will focus on the experiences and motivations associated with Ipoh, information resources, and suggestions for increasing tourist value. Special attention will be paid to how they researched Ipoh, what they have heard or told others about Ipoh and the channels or vehicles used to tell them. 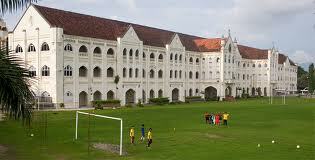 Additionally, representative travel agents in Ipoh will be interviewed about tourist experiences and requirements. Online surveys will be useful to research baseline perceptions of brand Ipoh. 3) Place audit: A place audit will identify Ipoh’s economic/ demographic characteristics, review major attractions (including strengths and weaknesses of the attractions) and outline all brand assets. The place audit will also look to identify product potential. 4) Communications audit: A comprehensive analysis of the channels, vehicles and materials, both digital and print, current and proposed that are or will be used to communicate with both consumers and businesses. Community and other stakeholder buy-in is important both for delivery of the brand promise, development and ongoing funding. Stakeholders must be communicated with and input from stakeholders must be incorporated so that they understand that they play an important role in initial and ongoing brand development. Such buy-in can be accomplished through a variety of activities, including “townhall” or other community meetings, private presentations and media briefings. Initial research findings and recommendations can be discussed as a basis for soliciting input. The results of the research and community buy-in will be incorporated into a comprehensive plan for Brand Ipoh. This customized brand plan serves as a strategic framework for all marketing activities, messages, metrics, timetables and proposed budgets. Special attention should be paid to digital branding and product development to get previous visitors to return again. General: General branding represents the ongoing efforts to ensure visibility and provide value to prospects, agents and visitors, as well as gather data, ensure continuous performance and maintain reporting. Segment-specific: Segment-specific branding concentrates on two areas where it is important to establish and maintain strong relationships. These include existing customers/visitors, and target-rich segments such as families, agents, previous visitors, etc. The actual segments to be targeted will have been defined in the brand plan. I appreciate that many cities will view this as a daunting and potentially expensive task. But it will not be as expensive as numerous one size fits all communications based on a tagline that tries to speak to all but really speaks to none. Great post. You might be interested in the information available on the http://www.strengtheningbrandamerica.com website. 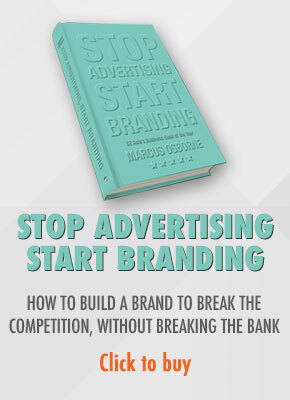 It shares ideas on how to convert product and corporate branding principles to the branding of communities. Thanks Ed. I have visited the site and commented on the Arizona post! Love the idea! but the inconvenience of present public transportation for visitor who is on a short term holidaying. It is not easy to go around Ipoh or Perak without a car, without a properly connected taxi (which charge like whatever they want) and major bus station is far from the downtown, without a proper guide signboard at every bus stop. 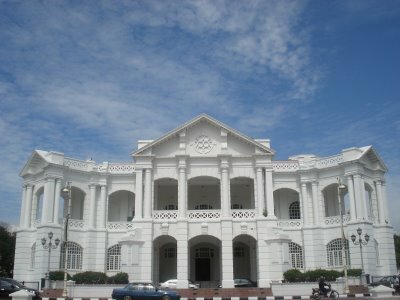 Inter connection in Ipoh /Perak is a discouragement to invite overseas friends to visit! The public transportation at the airport is a great idea for a fair and control inter connection system. Please consider implementing for a better image Perak! Many thanks for your comment. I feel your frustration! 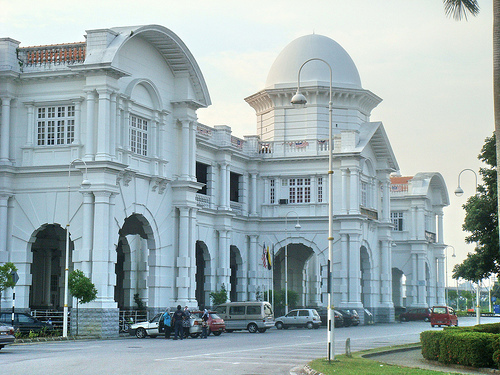 All of the issues you raise are key to the successful branding of Ipoh as a destination, not only for visitors but businesses, residents and others. These issues must be addressed before creative campaigns (even those about coffee) begin. Because if they are not addressed no matter how much is spent on creative campaigns, the brand will not flourish. It is important for the state government to understand what city branding is and to ensure stakeholder buy in and this includes taxi drivers. And the benefits of branding must be communicated to these stakeholders to ensure their buy in. I have to agree with you that the state (Ipoh) is too desperate for short term success and have neglect the importance of a long term brand plan. It seems that the government is already suggesting a few development plan for the state which would not eventually contribute to the vision of “city of white coffee” or any related brand vision. I doubt any state/destination in our country would succeed forging a solid brand image, considering their desperation for short term success. The chances are rather low. Wonder if this happens to the rest of the world. As you know I think Ipoh and Perak as a state has a lot of potential but I agree, the short term nature of politics will have a negative impact on the long term success of the state brand. I feel your pain. I think that Sabah has a done a really good job of building its brand. Sarawak has been a bit eratic but lacks a plan. Penang’s best days are behind it and Malaca seems to be working to a plan. Internationally I am impressed with some of the Gulf states, notably Qatar, Abu Dhabi and Oman. Nearer to home, Singapore and Hong Kong are great examples of nation brands. In the UK many of the counties, especially those in the South West as well as London have done a good job. Hi, may I know the pic with the beach, where exactly is this place? I think it is either Teluk Nipah, pulau Pangkor or Emerald Bay on Pangkor Laut. i am new to this, I stumbled upon this I’ve discovered it useful and it has helped me out loads. I hope to contribute & aid other customers like its helped me. Good job.